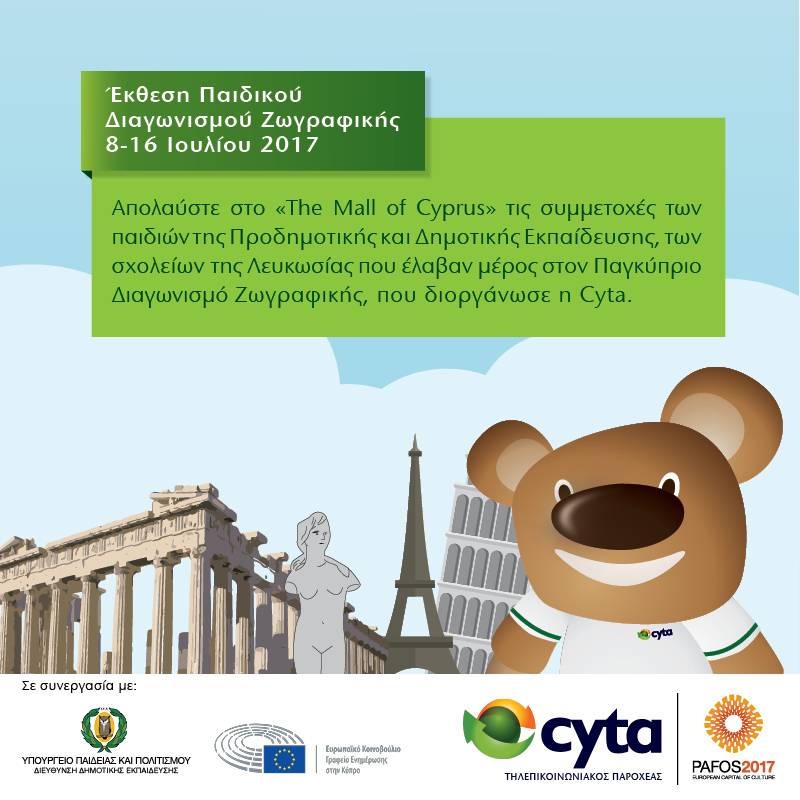 Enjoy at Τhe Mall of Cyprus, the participations of the children of Nicosia Pre-Primary and Primary Education schools that took part in the Pancyprian Children Painting Competition, organized by Cyta in cooperation with the Ministry of Education and Culture and the Office of the European Union in Cyprus. Cyprus – Europe. Build … bridges of culture through the eyes of our children!